August | 2010 | Killed in a Smiling Accident. I paused to think after a brief discussion with Spinks in the comments of her post, prompted by the fact that she is currently levelling one of her bank alts. Which lead me to remember how terribly proud I was when of one of my ‘little’ bank alts made it to Outland, and yet they were no less powerful a character than any of my other alts. It must be the RPer in us, or some such thing. I do wonder, however, what proportion of players treat their characters as a stable of well cherished pets as I tend to do; what proportion treat them as tools; and what proportion live a virtual life as their very character. Perhaps there are other categories too which I have not considered? For me, characters are a stable of pets, with each character having a unique personality. This is why I try to clothe my characters in a way that asserts their personality, and is why I often find myself frustrated by the limitations of MMOs when it comes to character customisation. Zoso and I were discussing APB last night, and m’colleague pondered on the curiosity of creating such a detailed character customisation model when, in a fast-paced frantic shooter MMO, the strongest impression most players will get is what colour you dyed your hair, and whether you’ve found out how to ‘hilariously’ take all your clothes off. Do your players customise for themselves because they’re creating a character, or do they customise for others because their character is a tool through which they want to send a message? And how much will the pace of your MMO allow for those customisation options to be observed? It seems to me that armour and weapons are fine and obvious places where developers could let players have a lot of freedom in expressing themselves; earlobe length and orientation… not so much. Warhammer Online added costume customisation recently but it only applies to what the player and their realm mates see, the opposition will still see your Orc in a Choppa’s set of armour and not the cloth bathrobe that you find it amusing for him to wear. This has, perhaps unsurprisingly for MMO players, caused some consternation amongst said population. The developers clearly want each side to be able to easily identify the opposing classes and their respective power level, which they achieve through the distinctive armour sets that each class gets as they level. Whereas the players want freedom of choice and the extra potential to confuse the enemy by changing the appearance of their characters from the uniform norm. I think, at a fundamental level, players like to be different. They also like to wear the best, however, and this often takes precedence when it comes to choosing between stats and appearance, and means that most players end-up looking like everyone else, especially when it comes to the end game. LotRO (and EQ2 and others) has always supported this need for individuality with a wide range of cosmetic items available and custom cosmetic outfit panels alongside the standard character panel, and LotRO is going further still with the next content patch by allowing characters on the same account to share cosmetic items, such that low level alts will be able to have access to high level cosmetic items (with certain restrictions) as long as you have at least one character of a high enough level to obtain them. Treating my characters as pets is also why I can, as a male, happily play female characters without any concern. When I play a character I am merely directing their adventure in the world, I am participating in their life, but I do not think that I am them. I invent a character for a story, and then I play out that story in the medium of an MMO; much as I when read a book, I picture what the protagonist sees, try to imagine how they feel, sense what they sense, but I don’t try to pretend that I am them. MMOs, for me, straddle a curious divide between reading a book and directing a movie: I am following a story, there is definitive structure and a narrative to it, and an eventual conclusion, but I am not an entirely passive entity, however, because at the very least I get to direct the action sequences. This entry was posted in melmoth, mmo, tftd and tagged melmoth, mmo, tftd on August 31, 2010 by Melmoth. It was while playing around in Lord of the Rings Online the other night with a low level alt that I came across a curious event. I had just killed a marsh-fly when the server decided to have a bit of a wibble (for want of better technical parlance) and when my screen unfroze I found myself being hit upon, which is to say being struck painfully as opposed to being asked down the Prancing Pony for a drink, by Corpse of Marsh-fly, pictured over yonder. For starters, how cruel must his parents have been for them to call their son Corpse? It probably made for some vaguely comical moments in an otherwise drab and dreary life, sure. “Where’s that Corpse when you need him?”; “I caught that Corpse in some hanky panky with the butcher’s daughter the other day”; “I’m pleased to say Mrs Bride that your young Corpse is as healthy as can be”. Honestly though, it’s a name you might possibly expect to hear from a creature out of the pits of Mordor, but a young ruffian in Archet? Hardly seems fair. Then comes the second part of his title ‘of Marsh-fly’. Now, my Elf is ‘of Mirkwood’ and my Dwarf is ‘of the Lonely Mountain’, but I’ve travelled around a fair bit and Marsh-fly ain’t no town I’ve ever heard of. 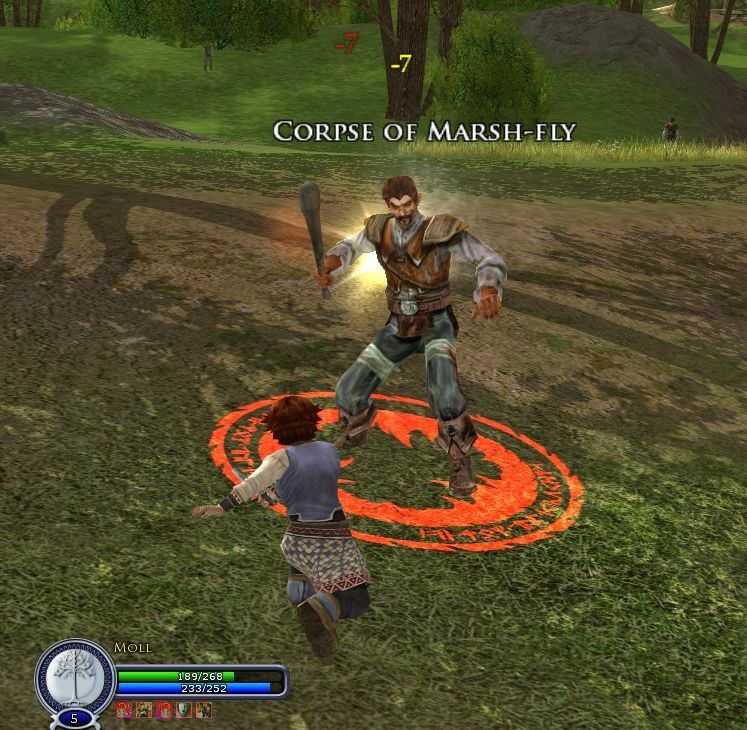 They speak Sindarin in Marsh-fly? ‘Welcome to Marsh-fly’ states the sign as you enter the sedate little village, ‘twinned with Bullfrog-Upon-Sea. Population 10,000,000 – Flies, Humans – 6’. So you can see why you wouldn’t want to have a name such as Corpse in a town that ten million flies like to call home, but then perhaps we should pity his brother Dungpile more. Alas, when I killed Corpse the server seemed to unwibble: I was looking forward to a screenshot capturing the lesser spotted Corpse of Corpse of Marsh-fly, but it wasn’t to be and so ended my encounter with perhaps one of the more interesting characters that I’ve met in LotRO in a while. This entry was posted in lotro, melmoth, mmo, wsgb and tagged lotro, melmoth, mmo, wsgb on August 31, 2010 by Melmoth. Melmoth pointed out there’s an option to save appearance settings, so I fired the client up again, redesigned the character, saved it, then proceeded to try a bunch of names, most of them taken (popular beta, obviously), but without such a long pause for checking, and with the appearance remaining mercifully unchanged. Perhaps the fact that it was streaming more data the first time around had thrown it for a bit of a loop. The saved character appearance proved handy as well, when I suddenly remembered a better name a couple of seconds after hitting “Play” whipping up a replacement was very quick. This entry was posted in everquest 2, games, zoso on August 30, 2010 by Zoso. My hand and other parasitoid xenomorph second stages. So, after only just making a post about having trouble with the often vast number of keys attached to skills and abilities in MMOs, I thought I’d try to make life easier for myself. Where I use ‘easier’ quite wrongly. As such, while I was away over the past couple of days my G13 gameboard turned up at home. 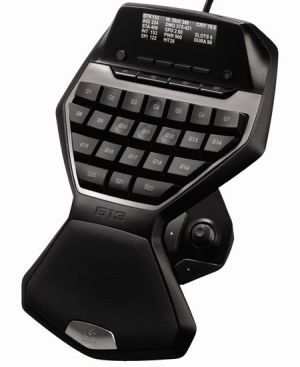 I plugged it in this evening and had a quick go in a couple of MMOs. So far, so ow my hand. It’s amazing how much one’s hand has moulded itself comfortably to the standard QWERTY-based WASD-type configuration. This evening I’ve found several tendons that I didn’t even realise I had, and they’ve made it be known that they are not amused at being exercised in such a manner. No sir, not one bit. Still, I can definitely see the potential in it (once my hand stops cramping up in what I assume is an attempt at impersonating a facehugger from Aliens) with a great many keys at hand and available for binding to abilities, skills and other functions; and once I beat my brain into submission (I think it’s jealous of my hand and is trying to impersonate Krang from Teenage Mutant Ninja Turtles as a form of one-upmanship) over using the thumb-stick to drive my character rather than the keys, I will free up even more space for extra abilities. Then there’s the multi-page function switching and even LUA scripting should I want to have a go at creating a sentient device that will play the game for me while I sit back and drink my favourite King’s Peg; although, considering the ‘success’ of our sentient Captcha system, that might not be considered the wisest of plans. I’ll hopefully post a reviewlet in the coming weeks, as and when I get to grips with the thing. Speaking of grip, I need to go and find some Deep Heat to massage into my hand to see if I can shift it from this Hammer horror-esque claw configuration before I go to bed, otherwise I’m going to wake up in the night, see it sitting their beside me on the pillow, and try to beat it to death with a slipper before I realise what’s going on. This entry was posted in g13, melmoth and tagged g13, melmoth on August 26, 2010 by Melmoth. If you haven’t heard, Lord of the Rings Online is going to have a wardrobe system. There, they’ve shown the industry how cosmetic outfits should be done, and done just about perfectly by the sounds of it. No excuses any more. This entry was posted in lotro, melmoth, mmo, tftd and tagged lotro, melmoth, mmo, tftd on August 24, 2010 by Melmoth. I find it so hard to pick up old characters once I’ve abandoned them. I just can’t do it easily, or at all in many cases; I return again to the once familiar character selection screen and I look with gentle goofy-grinning fondness on the friend I once knew, admire their armour – carefully selected in order to minimise the usual clownful kaleidoscopic ensemble of the casual adventurer – and then launch into the game. Once my character has loaded I look at a hotbar full of abilities set out before me and… hmmm. 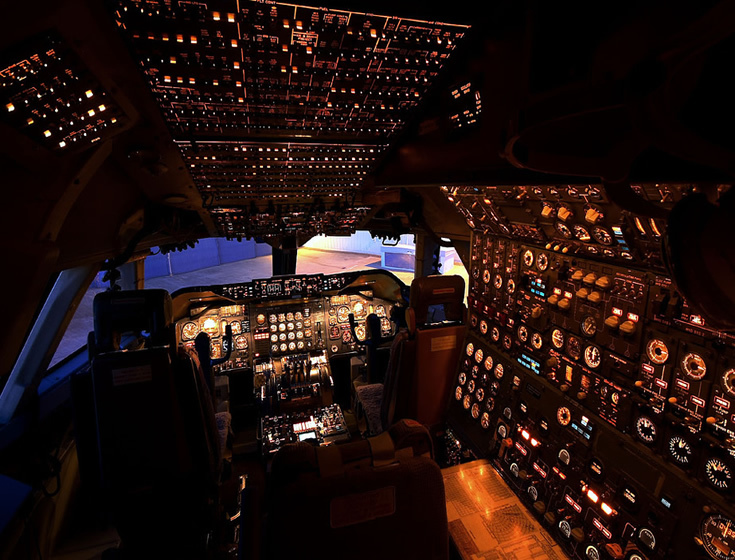 Have you have seen the cockpit of a 747 airliner? Have you ever had one of those fantasies where you’re on a flight to some sunny destination and suddenly the pilot and co-pilot are taken terribly ill and nobody in the cabin crew has any idea how to fly? A flight attendant stutters over the comms, trying to hide the fear in their voice as they ask whether anyone familiar with how to pilot a 747 could please step to the front of the cabin. Of course nobody else steps forward, so you slowly walk up to the front. “I’m afraid I haven’t flown a 747 before” you quip to the adoring and hopeful-looking flight attendants, “but I did fly a few sorties of F-15 Strike Eagle on my friend’s Atari ST, so I think I should be able to help out with your little problem”. In your fantasy you step into the cockpit, settle yourself in the captain’s seat, calmly put on the headset and call the tower to let them know that you’re banking slowly back to the airfield and if they could just give you some pointers on what flap settings you’ll need to land, that’d be splendid. You land the plane without incident, of course, with the flight attendants saying that it’s the smoothest landing they’ve ever experienced, and how did you manage it, especially with that 160 knot crosswind and the other airliner cutting you off as it tried to jump the queue ahead of you? And you shrug and smile and take phone numbers from a couple of them as the other passengers sing For He’s a Jolly Good Fellow, and as you leave the aircraft to the cheers coming from the throng of spectators and journalists waiting outside, the theme tune to 633 Squadron breaks out in the background, and you walk off into the sunset, arm in arm with a couple of rather attractive flight crew. Followed shortly thereafter by you running to the nearest emergency exit and leaping out without bothering to check if there’s a parachute. And that’s pretty much your standard reasonably high level character in an MMO after you’ve been away from them for any significant period of time. You start looking at all the buttons and, if you have any sense, run away screaming. If you don’t do that, then you’re possibly the sort who laughs merrily at all the power that your character must possess, because look: there are six finger-aching hotbars worth of buttons there! So you immediately run into a fight with three or four mobs of plus five levels, and as your character’s health starts to careen its way off the side of the screen you start maniacally pressing buttons in the order that you seem to vaguely remember from several months ago, and it all goes downhill from there. You find the button for ejecting your character’s armour, you find the button that sends up a flare in order to attract all the other mobs in the zone, the button that changes your hair colour, the one that launders your underwear (which you note down because it’s about to become quite useful), and you find the button which announces in General Chat that you’ve taken off all your armour and are currently flashing your whiter than whites at fifteen hundred angry orcs. And that’s when you remember that you were thinking of the buttons for another character, from a different game entirely; you watch your character vaporise into a cloud of bloody droplets, and all you can think is ‘well at least I know which button gets those stains out of my character’s underwear’. I have real trouble picking up with characters again after having been away from them for a while. I recently re-rolled my Bear Shaman in AoC and my Warrior Priest in WAR because of this. Now I’d been away from them for half a year or more (and admittedly I have a terrible memory for these things), but how long does it take before that 747 cockpit feeling starts to take hold? Well, I haven’t played my Warden in LotRO for a week and a half due to the aforementioned re-rolling of priesty warriors and shamany bears, and already it had started to feel strange and uncomfortable when I returned the other night. It’s like having a favourite pair of comfortable shoes that feel odd on your feet because you’ve had to wear a different set of shoes recently. Even if it was your favourite shoes, the ones you’d never take off because they fit you like a glove. A shoe-shaped glove. That fits your feet. Hum. And even if you did take those favourite shoes off you vowed never to wear another pair of shoes ever. They were your best shoes, you would both go everywhere together; take photos of yourselves laughing and goofing around in picture booths; they’d sit on the bench of a rowboat looking coy as you sculled them up the Thames; when you got home after a long day out you’d place them carefully on the rug in front of the fire; and later you’d take them up to bed and have them cuddle up on the pillow beside you… I’ve said too much. But you know what I mean: you loved those shoes, platonically or otherwise, and suddenly because you’ve had to wear work shoes for a few weeks now you find that your favourite shoes are a bit uncomfortable around the heel. You start to get annoyed with your shoes, they don’t lace-up right and they have a bit of a reek, and your shoes are deeply offended by this and fill themselves with small stones at every opportunity. Eventually you both decide to take a break and see other shoes, and it’s never the same again. Yeah, so anyway, it’s a bit like that with my MMO characters. Perhaps a bit less creepy. This is one of the reasons that I like MMO expansions with new races and classes because it gives me an excuse to start afresh with all the other players that are doing the same; World of Warcraft’s Cataclysm will be a blessing for me because I’m not sure I care to go back and remember what all the buttons do on my level eighty characters, especially as I often like to play the healer role. I can just picture myself being the gung-ho type I mentioned earlier and signing up for a dungeon run as soon as I get back into the game after almost a year away from it. I’ll still be desperately trying to get my AddOns to stop aligning my entire interface into a six pixel by six pixel square in the top left corner of my screen when I need to start with the healing. I picture myself looking at all the buttons and hovering over one, then another, then sucking my finger a bit before going back and pressing the first with the daintiest of tentative dabs while directing a hopeful pleading look of Please Don’t Let This Be Bad towards the screen. And afterwards I’m sure we’ll all sit around and laugh and laugh while I finish washing all the blood out of the group members’ underwear. This entry was posted in melmoth, mmo and tagged melmoth, mmo on August 24, 2010 by Melmoth. Champions Online seems to tick so many boxes. There’s the character creator for a start, vast arrays of crazy options you can lose yourself for days in. Then there’s power selection, where you’re not locked into a fixed class but are free to select from a wide array of offensive, defensive and various utility powers, and combine those with stances to fulfil different roles; you’ve also got fantastic travel powers for getting around. The world seems to be a good size with areas like a metropolis teeming with villainy, an irradiated desert, a frozen wasteland, suitably superheroic settings. There’s loot and crafting, fast paced action, public quests, drop-in PvP, so much good stuff, and yet… somehow it seems to add up to less than the sum of its parts. Having a lifetime subscription is great for popping in now and again, and if nothing else is really gripping me I’ll bounce in and dispense a bit of justice, but it never really grabs me and keeps me in, a bit like Guild Wars in that respect, games I never really managed to stick at. It’s hard to put a finger on why it doesn’t quite work for me; I think one aspect might be the genre. Since City of Heroes got me back into comics a while ago I enjoyed the first two volumes of the self-contained Ultimates series, but I couldn’t get into any of the more continuity-heavy mainstream superhero series I tried. I still pick up a few trade paperbacks here and there, but mostly standalone books like DMZ and The Walking Dead that don’t feature superheroes, so the hero genre doesn’t have an especially strong draw and the Champions lore and setting hasn’t particularly grabbed me. There are some nice little vignettes, like the town of Snake Gulch populated by robotic cowboys gone haywire (very Westworld), but overall it seems a bit generic. The forthcoming DC Universe Online at least features iconic characters like Superman and Batman in the rather spectacular recent trailer, and I understand there’s going to be an accompanying comic, though I’m not sure if, or how, they’re going to fit in hordes of player character heroes. Perhaps it might have that indefinable x-factor that Champions doesn’t quite seem to. This entry was posted in games, wot i'm playing, zoso on August 23, 2010 by Zoso. All that we should see in the world is You and I.
I thought I’d expound a little on the thought experiment of moving UI elements into the game world, which as we know is not a new idea in gaming as Hirvox rightly points out in a comment, but is perhaps less common in MMOs. Zubon has already taken the health bar idea a step further, with consideration given to colour blind players, a concern that Tesh highlights in a comment as well. The next logical step was to move the yin to the health bar’s yang: the mana bar. A few obvious ideas sprang immediately to mind: the wizard’s staff, for example, is a prime candidate for being turned into a mana gauge; a Steampunk world could have staves as a metal rod with pipes and wires, and valves hissing open and shut, and running the length of the rod would be a thin window that shows the level of fuel left, a bubbling agitated blue liquid that slowly drains away as the Vapourmancer performs their half-scientific half-mystical art. Sticking with the Dead Space inspired influences, another option could be a belt of phials strapped around the back of the magic user’s waist which slowly drain as they cast spells. We can improve on this further perhaps by having the avatar grab a phial and drink it down prior to casting a spell, this gives us several benefits: firstly it draws the player’s attention in to their character and thus the game world because that’s where they can observe their mana levels, a Good Thing in my opinion – I’ve always wondered at the reason for having tremendously pretty 3D worlds and then making the players spend a vast amount of time staring at 2D two colour bar charts (health, mana, rage, experience, aggro, etc.) and pie charts (cool-downs). Secondly, we can use the animation to eliminate another of the 2D bar charts, the cast bar. The avatar draws out a phial from their belt and takes a swig and puts it back and then throws their spell, the cast bar is now a visual animation in the world (drawing the player’s focus into the game again) rather than a gauge on an interface to a game. Finally, it’s just much more immersive, rather than constantly breaking out of the game world to check gauges, the player’s character has a (comparatively) more realistic way to show the same information. Games have developed in leaps and bounds in recent years, in graphics and audio quality, in scope, and in the maturity of the content presented therein. One of the major items that really lags behind, however, is the UI. There are efforts being made in certain areas to make a breakthrough, games such as the aforementioned Dead Space, and others such as Gears of War and Heavy Rain, with varying levels of success. It’s not an un-researched topic, but in the MMO space it seems to be regarded in terms of COTS technology, that is ‘Slap some bar charts on the screen (make it a big red circle if you’re feeling innovative), put some buttons at the bottom of the screen and fill them with ticking pie charts and numbers for cool-downs, a mini map and have a text box with quest objectives in it’. If you’re feeling particularly generous add-in LUA scripting so that players can create HUDs so complex they’d make an aircraft HUD developer have a seizure. One of the things I liked in one of the Guild Wars 2 game-play demonstrations was the way the world map was brought into view, it sort of faded in as the camera zoomed out from the player’s avatar, giving the player the sense of their place in the world in a geographical sense. The curious thing to me is that, although that is a lovely and slightly less jarring way to introduce the world map, I wonder why they didn’t have the avatar pull out a map and then zoom down over their shoulder and into the map that way, which to me would give the impression of reading a map, rather than calling up a geosynchronous LEO satellite image, which the zooming out impression gives, and again it would draw the player down and in to the game, rather than pulling them up and out. It’s one of those curious tropes in MMOs, for me, that these beautiful worlds are crafted by fantastic minds and amazing artists, are always the first thing to be shown-off in promotional videos with dramatic fly-bys of prominent landmarks, and then the game itself is layered on top of this world in such a way that you are constantly being pulled out of it, or at the very least viewing it all through an immersion breaking HUD of varying levels of complexity. 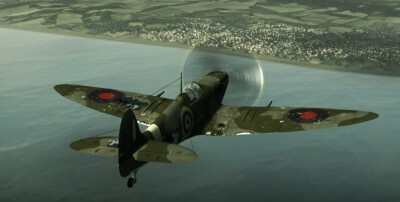 The most important thing when engineering the software for aircraft HUDs, and even more importantly now with the development of real-time tracked helmet HUDs, is to make the HUD invisibly visible to the pilot, which sounds a bit like marketing speak, but is the easiest way I can describe it. The pilot is never conscious that they’re looking at a HUD, they’re looking at the real world, always, because in many situations they’re travelling too fast to not be looking where they’re going, they look at the world and they know information about what they’re looking at without having to draw themselves out of the world they’re looking at. Now admittedly other tricks are used too, such as focussing the display at infinity so that the pilot doesn’t need to change their focus to read the display, but as much as possible the aim is to minimise the effort required on the pilot’s part to have to absorb that information, it becomes more like a sixth sense than an information panel. The reason I raise this issue is that I see MMO developers creating more extravagant worlds with every new release, and yet often we see the same old UI pasted on top of it, and as long as you do that, as long as you continue to draw the player out of the world to look at a spreadsheets worth of information every fight, it seems like such a waste. As a final disclaimer, this is all context dependant of course, a game such as EVE which is set in a futuristic society of space-faring combatants is obviously ripe for tactical overlays and systems monitors and the like, and although the game has undeniably beautiful vistas in the void, they are far less important in the context of that game than the raw data. Now I’m off to buy my lunch, just as soon as I’ve checked my mini-map for where the shop is, examined my bag inventory for space, made sure my stamina bar is full enough to make the journey, and have set the lunch objectives in my quest tracker. This entry was posted in armchair design, melmoth, mmo and tagged armchair design, melmoth, mmo on August 20, 2010 by Melmoth. Browsing the ever-shrinking PC games section of the local game shop, I found the box for Wings of Prey; I haven’t played a flight sim for years, and got all nostalgic for the days when they were a PC staple. Contributing to the decline of retail games outlets I put the box down, went home to check some reviews, and found a demo on Steam. Things didn’t start terribly smoothly as it didn’t seem to pick up my joystick automatically (if you know what I mean), and selecting a built-in configuration caused my plane to rapidly plummet to certain doom so I had to set up the controls manually, but after that, in no time at all bally Jerry pranged his kite right in the how’s your father. Hairy blighter, dicky-birdied, feathered back on his Sammy, took a waspy, flipped over on his Betty Harper’s and caught his can in the Bertie. With plenty of games still to finish in the Steam library I’m not going to rush out and pick it up at full price, but if it comes up in a Steam sale I could well be tempted. Hectic! This entry was posted in games, wot i'm playing, zoso on August 19, 2010 by Zoso. Instead of health bars in a UI element, have the colour drain out of a player’s avatar from head to foot as they lose health. This entry was posted in melmoth, mmo, tftd and tagged melmoth, mmo, tftd on August 18, 2010 by Melmoth.